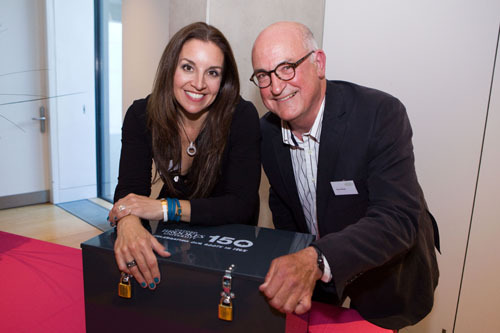 Thank you to all our alumni who submitted memories for the Anniversary Time Capsule that was sealed on the 24 May at Brookes Founders' Day. Here are a selection of the ones that were included. Having both studied and lectured here, Brookes has been threaded through my adult life. My favourite memory is getting my dissertation grade and being so proud of myself for persevering, thanks to the wonderful Carol Forde-Johnston. Throughout my years at Brookes, I lived at many halls, including Slade Park, Cheney Village and Clive Booth. My favourite times were at these fantastic student accommodations. I met some of my life-long friends here and spent some of my best years in them, so much that I lived in halls for every single year apart from 1 during my 6 year stay at Oxford Brookes (halls4all ftw). After a couple of years at Brookes, it felt like a home to me, a comforting and reassuring community which I will surely miss when you finally get rid of me. Being part of a multi-cultural environment. Before the Christmas break, after our last first semester exam, we gathered for a quick snack. Our supervisor offered us small gifts and we spent a lovely afternoon talking with the staff. This is among my best memories of Oxford Brookes. The atmosphere, the intercultural component and, above all, the historically beautiful Oxford which gives me a gut-wrenching nostalgic feeling every-time I look back at my stay at Brookes; it was awesome on so many levels! My favourite memory is when Artie the robot took part in the Live Friday event at the Ashmolean Museum in 2014. Sharing the greatest professional project of my life with people from different parts of the world! Placements and lectures at the John Radcliffe Hospital were always excellent. It was the opening year for the JHB building and I used to stay up all night till the morning studying and having Starbucks hot chocolate and some home-made coffee at the Forum of the JHB building. 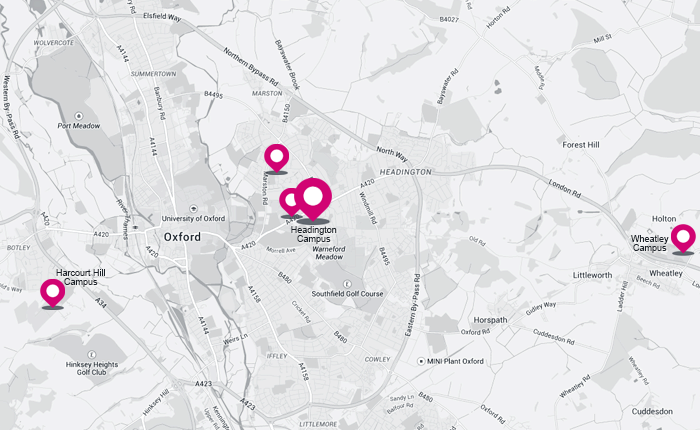 Living in Oxford was wonderful, it is a great city to live in, it is full of vibrancy. I would say that my favourite memory is from my first visit to the Harcourt Hill campus, I just knew it was somewhere I really wanted to go. When I was offered a place after my interview, I was so excited! My room in halls HH was one of the bigger rooms, thank goodness as I had so many clothes! It made me laugh that the university obviously knew that I was going to need the space! The memories of Brookes that I will have with me always are the friends that I made, some truly wonderful friends that I know will be my friends forever. Meeting like-minded people including performers. We set up an all-female theatre company called 'The Padded Cups' and were the first theatre company from Brookes to perform at The Burton Taylor Theatre in central Oxford - we had a wonderful time performing Caryl Churchill's Top Girls. Watching Blur play the Helena Kennedy Student Centre in 1999. Debating and subject discussion with student peers and lecturer, stretching and pushing my brain to work in a different way. The large and airy lecture rooms at the Business School. Great professors, amazing colleagues (who became friends), cultural diversity, volleyball team. An awesome place to meet people from all over the world. Studying at Brookes made me grow as a professional and a person. Sitting in the Abercrombie architecture studios late in the evening, sharing sweets with the people working around me and having deep and meaningful conversations about life, the universe and everything whilst out on field trip. During the first week of university I met Nik, he was walking up the stairs and I was walking down in the Simon Williams Undergraduate Building at Wheatley Campus. Love at first sight and now 6 and a half years later I am a Brookes employee and planning our wedding. Walking around that campus brings back so many amazing memories. The strong support for my research and the publications resulting. Attendance support for presentations at conferences was particularly appreciated. Playing on the tennis team on Wednesday afternoons against various Oxford colleges. These matches involved tea (or beer) in the pavilion afterwards. A taste of a lifestyle to which I had never been exposed. The beautiful Campus and all the tutors are very nice.